Marelle Taylor Stampin' Up! Demonstrator Sydney Australia: 24 Hour Stamp Sale! 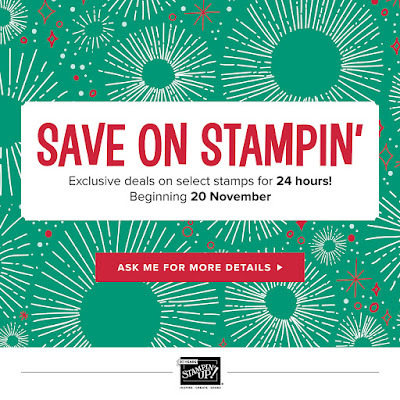 Grab a bargain, starting tomorrow 20th November only!